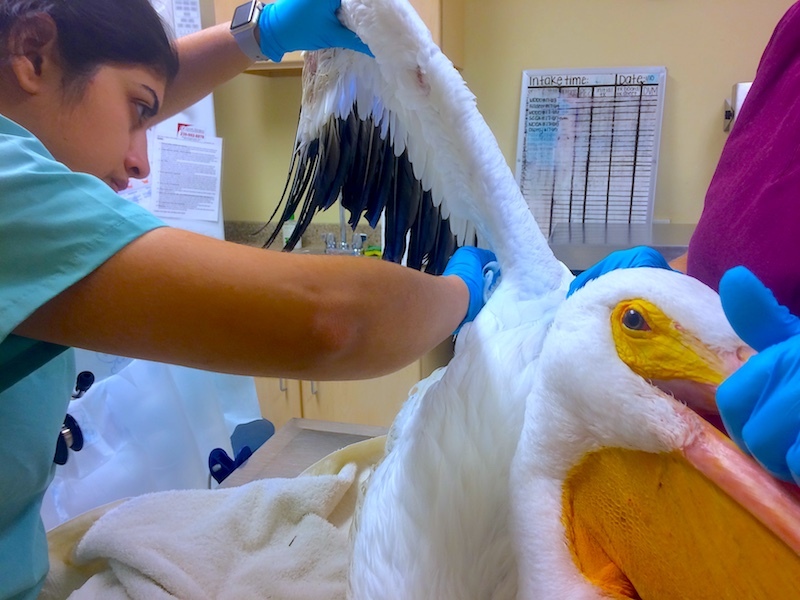 A white pelican (#17-69) arrived at CROW after it was found in the mangroves at J.N. “Ding” Darling National Wildlife Refuge unable to swim. 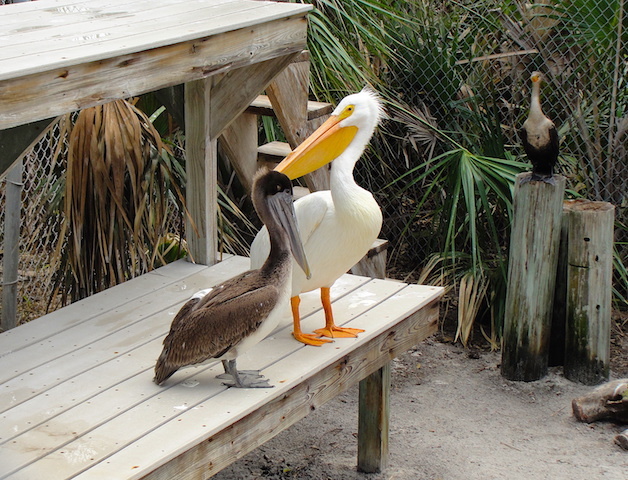 The pelican arrived weak, unable to keep its head up and evidence of neurological issues. It will receive supportive care until a concrete diagnosis can be made. The white pelican (#17-69) has shown great improvement. It is able to hold its head up without assistance, standing on its own. hock sitting and eating well.